​Have your furry friend(s) painted by Gina! Originals are painted in Indian ink on high quality Fabriano paper with any colour detail added using watercolour paints. 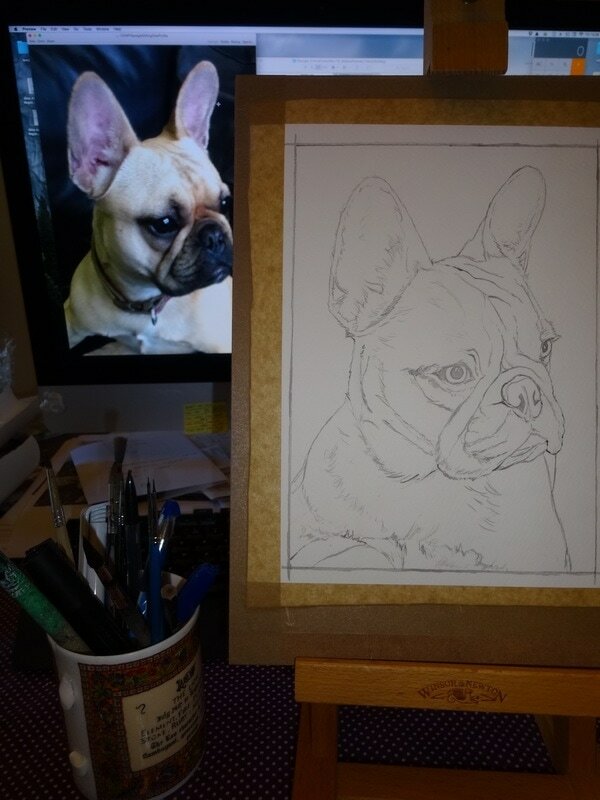 Gina will create for you a no obligation Indian ink sketch of your pet for free. Payment for your final Indian ink pet portrait will only be due once sketches/proofs have been approved. Please note, Gina will paint what she can see and the quality of the photo provided will reflect this. No upfront fee is required prior to consultation. 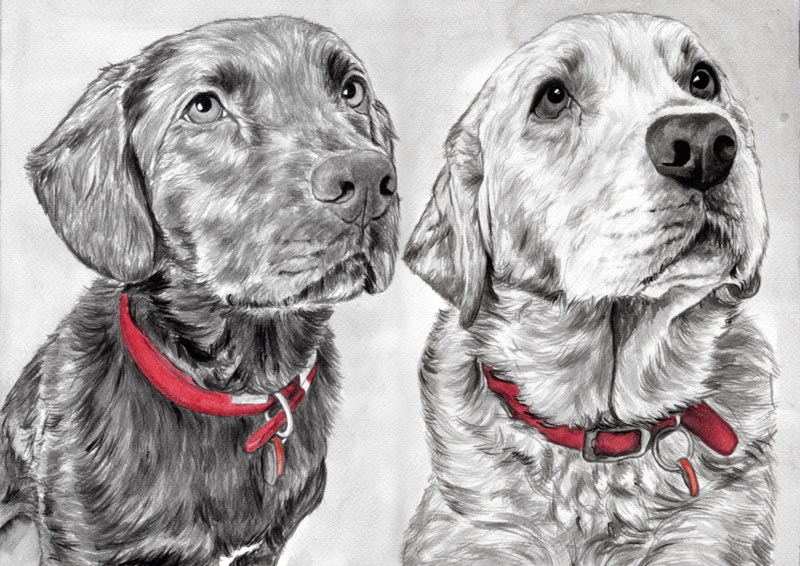 Please drop Gina a line to discuss your pet portrait and arrange your free sketch. By commissioning Gina you agree to the terms and conditions. Current turn around time for a bespoke Indian Ink Pet Portrait is around 3-4 weeks (depending on workload this could be shorter or longer at busier times). So Gina can allocate studio time for your painting, please contact Gina sooner rather than later to avoid disappointment. Gina will always do her best to get your portrait to you as soon as possible and will let you know of any delays straight away. Gina is always available to answer any queries you may have so please do not hesitate to get in touch if you have any questions and Gina will get back to you as soon as possible.